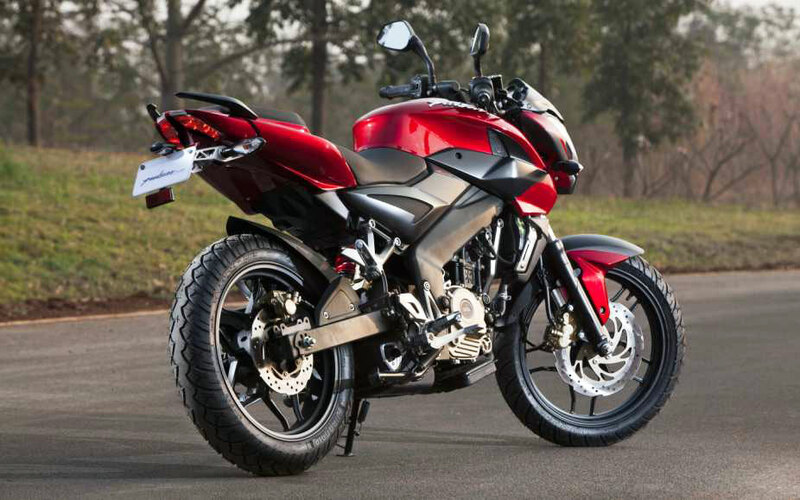 Bajaj has unveiled the all-new Pulsar 200NS, the newest generation of its now-legendary brand and may we say, we like what we see. Starting with, of course, the looks. 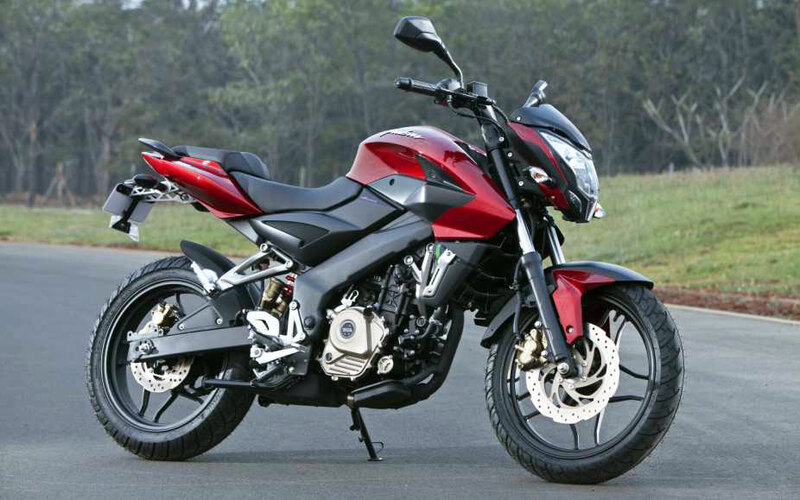 The 200NS looks nothing like the older Pulsars, yet retains a visual link with its forebears, according to Bajaj. According to us, we’d like to think of it as nothing like the older Pulsars, millions of which romp on our roads. There are familiar cues, yes, but it looks nothing like the older ones. Fat forks, fat tyres (Eurogrip again? Why not MRF, Bajaj? ), sharply raked lines running the length of the bike and our personal favourite, the headlamp. Coming to the powertrain, the 200NS is powered by the KTM Duke 200-based motor with one important difference - something called Triple Spark. Yes, two spark plugs weren’t enough for Bajaj, so they added another one to the new Pulsar, which along with the four-valve layout should make for one hell of a messed up head. Is it? 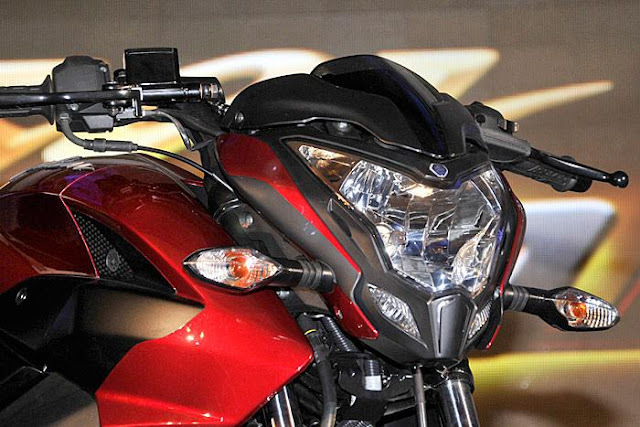 Well, if Bajaj’s claims are correct, it is actually more powerful and more efficient than the Pulsar 220 DTS-i! The 200NS makes 23bhp@9500rpm and 18Nm@8000 rpm, while it weighs in at 145kg. Enough to propel it from 0-60kph in 3.6 seconds and from 0-100kph in 9.8 seconds, according to Bajaj, and we can’t wait to verify these for ourselves. Top speed is rated at 136kph, and this hints at a short-geared, wheelie-prone streetfighter to beat the rest of the pack with. And come corner time, the 200NS promises to be fun here too. It has the right ingredients - 37mm front forks, a twin-spar frame, gas-charged monoshock, a rectangular-section swingarm, 100/80 front and 130/70 rear tyres, a 280mm disc up front - it all seems like a recipe for knee-down fun. While Bajaj will remain tight-lipped about pricing until the 200NS’s April launch, it has confirmed that it will be priced under Rs 1,00,000. Of course, with the KTM Duke 200 pegged at Rs 1,17,500, it’s safe to speculate that the newest of the Pulsars should be in the region of Rs 80-85,000, ex-showroom. There - that’s the best news Pulsar loyalists could get.